As years of foreign language study increase, math and verbal SAT scores increase. Children who study a foreign language often have higher standardized test scores in math, reading, and language arts. The IES Language Foundation was founded in 1982 and was patterned after IES Schools International founded in Japan in 1975 to teach English to Japanese speaking children. The first IES Language Foundation Programs were offered in November of 1982 in the San Francisco Bay Area by Diane Levitan, current President. Diane was the original pioneer in developing the teaching system and curriculum materials for IES to use, emphasizing an oral approach to language acquisition. Spanish was the first language offered by IES and has continued to be the most popular language offered. Since that time, IES has expanded nationally throughout the United States to include pre-school programs through grade eight in Spanish, Mandarin, Hindi, French, Arabic, German, Russian and Japanese. The IES Language Foundation is a National 501(c)3 Non-Profit Organization and continues to serve school aged children from coast to coast in the US. All IES teachers are trained in our teaching system, and utilize the curriculum and trade marked materials developed and enhanced by Diane Levitan over the years. IES is dedicated to enabling children to acquire a second language. We seek to make their exposure to second languages and cultures a positive and enjoyable experience. 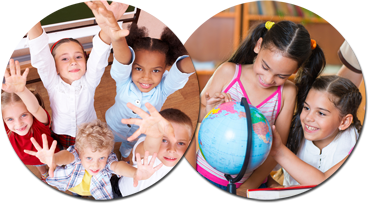 IES is the largest children’s second language organization in the United States and offers programs through and with the cooperation of hundreds of public and private elementary schools nationwide. We provide skilled teachers and a carefully designed curriculum of classroom lesson plans, books and CD’s for home reinforcement. We develop all of our programs with children in mind!